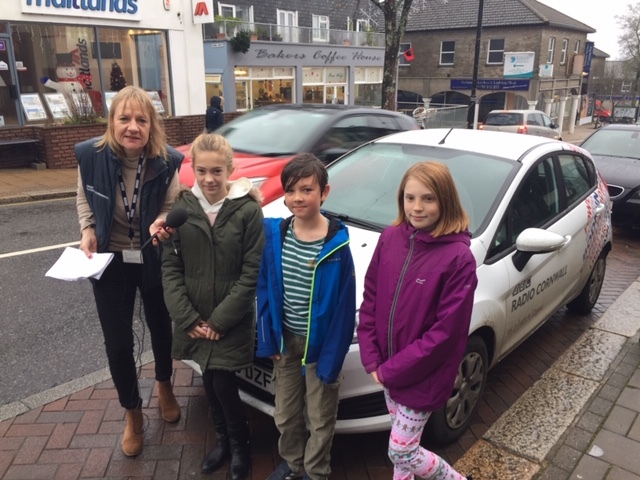 Layla, Owen and Kate speak to the BBC! 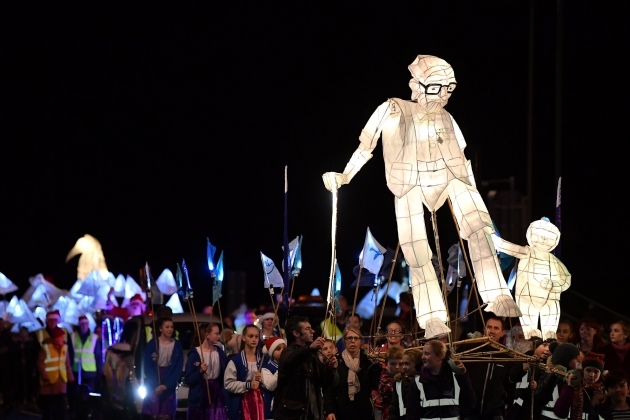 Following their involvement in Truro’s City of Lights parade, saltash.net students and their Remembrance-themed lantern took to Saltash on Saturday night, leading the Saltash Christmas Festival parade through the town. The students represented saltash.net fantastically, showing off the lantern that they had created with local artist Jill Hudson, after they had been recognised for their outstanding work in art lessons. The students’ lantern depicts a grandfather who had fought in the First World War, holding the hand of his grandchild, as part of the Remembrance theme. As the students and their lantern reached the top of Fore Street, the Festival’s firework show began. The Year 7 lantern bearers were so impressive at Truro’s City of Lights that BBC Radio Cornwall sought them out at the Saltash Christmas Festival to interview them! A clip from the broadcast can be listened to below.